I like to fold models with geometric patterns, and tatos are great examples. 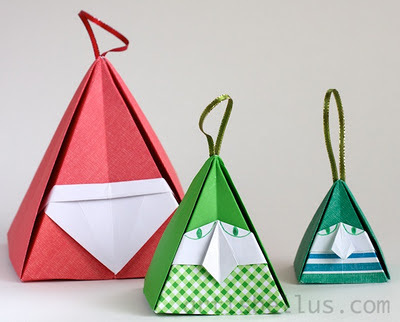 A tato is a traditional Japanese purse, a kind of container that can be used to store flat items. 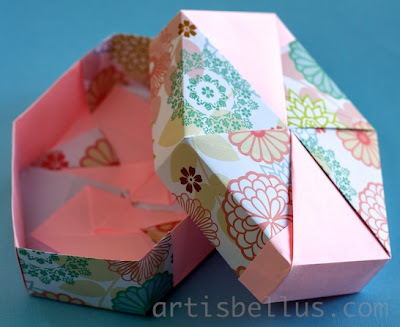 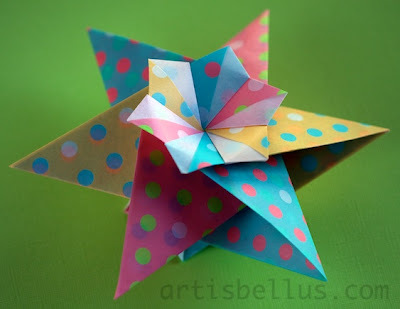 It can also be used as an envelope, and it is a great way to send invitations. The tatos in the pictures above were created by Tomoko Fuse. 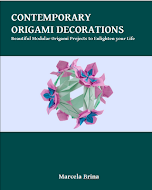 The diagrams can be found in her book Origami Wrappings, ISBN 441630501X (in Japanese). 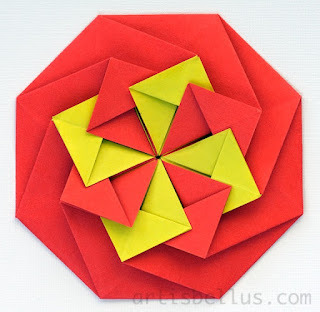 I like these models because, unlike other tatos that are folded with a single sheet of paper, these two models are folded with two. 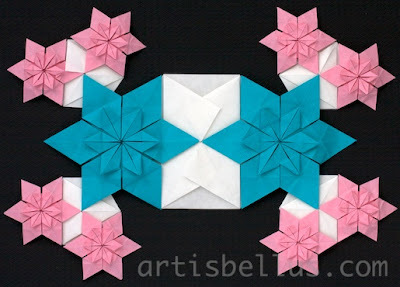 This allows use of the eight corners to create the pattern in the front. 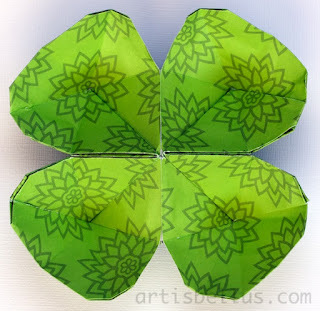 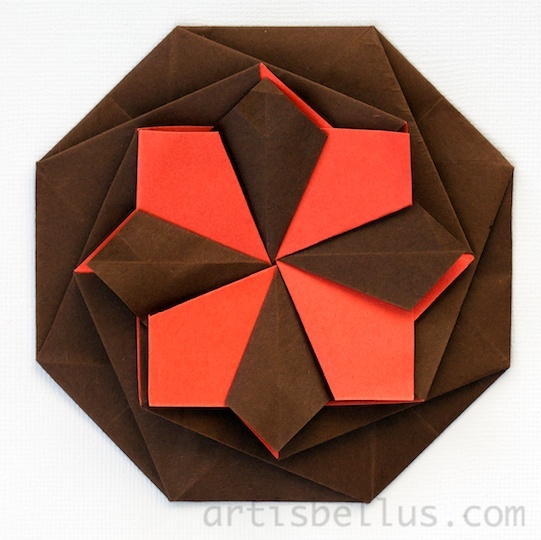 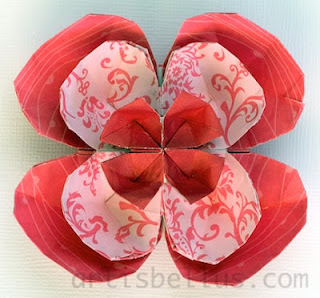 I used 8" (200 mm) squares of Folia Origami Paper , which is the same color on both sides.